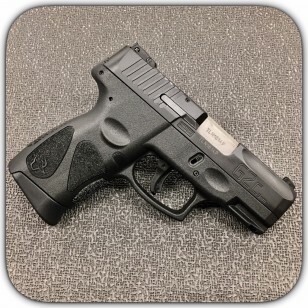 $25 Factory Rebate Valid On Purchases Through 5/31/19 Taurus G2C 9mm Black Pistol With 3.26" Barrel & 2-12 Round Magazines 1-G2C931-12. Compact size, Thin Profile, Smooth Trigger & 12 Round Capacity makes this an ideal gun for concealed carry and defense scenarios. Taurus G2C 9mm Black Pistol With 3.26" Barrel & 2-12 Round Magazines 1-G2C931-12. Compact size, Thin Profile, Smooth Trigger & 12 Round Capacity makes this an ideal gun for concealed carry and defense scenarios. This model does NOT have the Taurus Lock Security System. With its lightweight 22 oz. contoured polymer frame, thin profile design and 3.26" barrel, G2C from Taurus is the ideal concealed carry handgun. The Taurus G2C 9mm features an accessory rail for tactical lights and lasers, high profile sights, textured grip and rounded edges for added comfort and easy concealment.